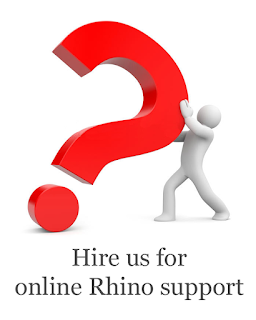 It has been some time since we posted, as it has been busy at RhinoCentre. More and more people are finding their way to our excellence network, be it for advice, training, constructional drawings or high end visualizations. 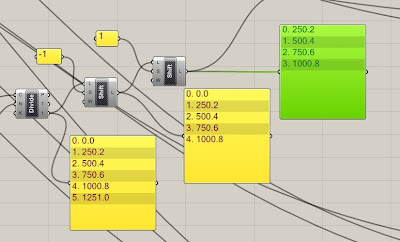 But luckily we did find some time to dive into Grasshopper. 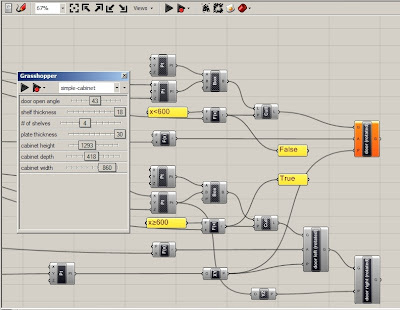 Grasshopper enables you to create flexible parametric designs with Rhino. 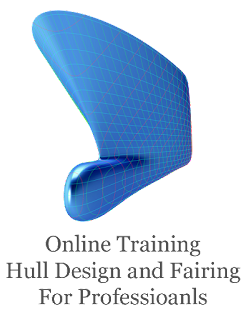 This means that you can easily adapt your design based on important design parameters and constraints. 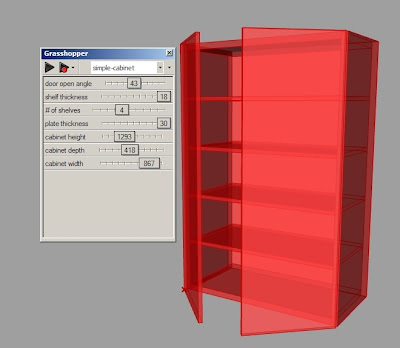 This article demonstrates how Grasshopper can be applied to the design of a (simple) cabinet. I think that even in its current state, Grasshopper has a lot to offer and shows a lot of potential. I hope this simple example will stimulate you to give Grasshopper a try. 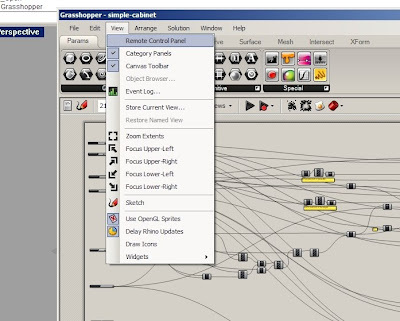 Download the Grasshopper cabinet example file. The amount of shelves can be changed as well. The cabinet has 1 or 2 doors. The decision whether it needs 1 or two doors is made automatically, based on the size of the cabinet. In this case, when the cabinet is less wide than 600 units (the file assumes you are working in mm) only one door will be generated, when the cabinet is wider, two doors are generated. The construction for the shelves is a bit more difficult. 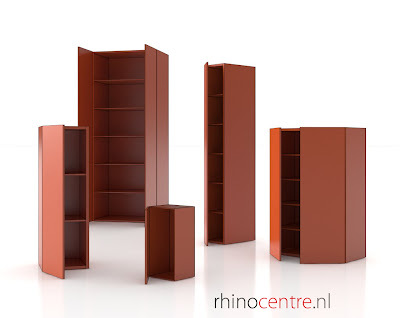 In order to get the shelves perfectly spaced over the available inner height, a curve is generated and divided. Since the shelves are positioned at these division points with their lower corner, I made sure that the line that is being divided starts at 1 shelf thickness below the top of the bottom side of the cabinet. Now if we would place the shelves at the division points of the curve, we would end up with 2 more shelves than needed: this is because dividing a curve also generates points at the start and end of the line. There are several methods to get rid of these shelves. Here I used the shift component twice. So the list of points is first shifted downward, then shifted upward. The booleans for wrapping the list while shifting are set to false. Therefore, the outer points will be erased from the list. Exactly what we want. Grasshopper is a plugin for Rhinoceros Nurbs Modeling for Windows. 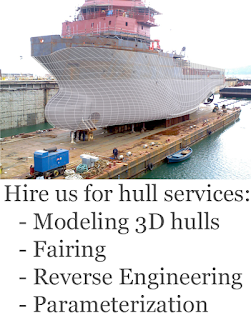 It is being developed by Robert McNeel and Associates. The brain behind Grasshopper is Dutch urban architect and programmer David Rutten.